We’re thrilled to share with you the announcement of an acquisition that further expands our market presence and provision of post-transaction fraud management. We’ve acquired a large provider of issuer alert notifications to high risk merchants CBplan. This follows our strategic partnership announcement with Soar Payments, a leading payment processor for high risk merchants. The acquisition builds out our portfolio of services even further, helping merchants of all sizes and risk levels manage and alleviate dispute resolution. Fintech and Payments is an ever-evolving landscape, and this acquisition further expands our strength in staying on top of the latest trends and advancements. At the end of the day, “Our goal is to ensure that every merchant has the tools to address customer disputes in the right way,” Dave went on to share. 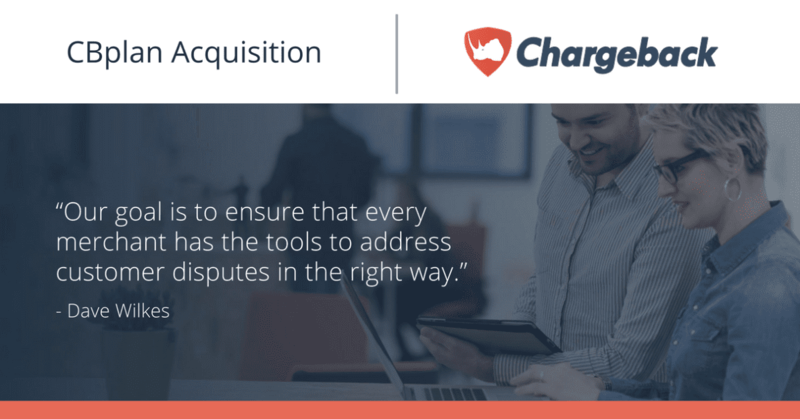 To learn more about our solution get in touch with our sales team at sales@chargeback.com or schedule a demo today.